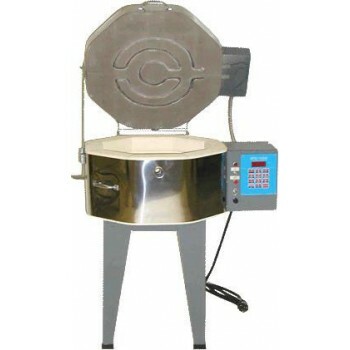 The Champ XL glass kiln runs on 120v - requires 20 amp breaker. 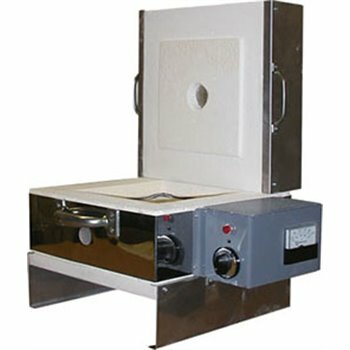 The Champ XL glass kiln runs on 120v - requires 20 amp breaker. Inside dimensions 14.5" x 14.5" wide x 6" deep., .73 cubic feet. Lid element for fusing and slumping, and 12-key controller with four user programs, 8 segments for ramp up/down and hold times. Models come equiped with tall metal stand, peephole plug, stainless steel jacket and lid wedge. Fires to 1700 degrees. 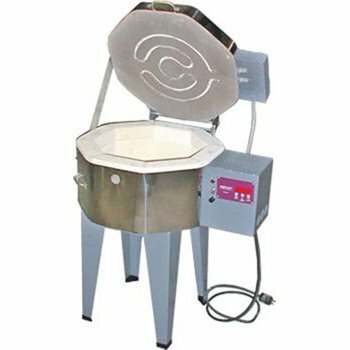 Furniture Kits for 120 volt glass fusing kilns include 2 layers of shelving for stacking ware, assorted square posts, ceramic paper and a one pound bag of kiln wash. Instruction manual, and warranty card included.Two-year warranty. The Square 146GFE runs on 120v - requires 20 amp breaker. The Champ glass kiln runs on 120v - requires 20 amp breaker. HOTSIE kiln runs on 120v - requires 20 amp breaker.